Mike is the President of Emery Howard Portfolio Management. He began his financial career in 1980 as a planner and investment analyst with Bechtel Investments. In 1986, Mike became the Manager of Personal Financial Planning for Ogilvie & Taylor, a private investment company in Palo Alto, CA. He has been quoted in The Wall Street Journal, The New York Times, Money Magazine and Fortune on various wealth management topics. Mike is a member of the Financial Planning Association and has served on the Schwab Institutional Financial Advisory Board. He is a cycling enthusiast, a musician, and an active member of the California Waterfowl Association. He is also an avid supporter of The Good Tidings Foundation. 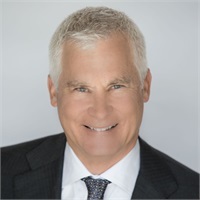 Mike holds a BS degree in Finance from San Francisco State University, a MBA in Personal Financial Planning from Golden Gate University, and is a graduate of the U.C. Berkeley Personal Financial Planning program.